I've been doing lots of holiday shopping/browsing lately, trying to get everyone checked off my list. What better place to do a little gift searching than Etsy? Here are some things I've been loving lately. 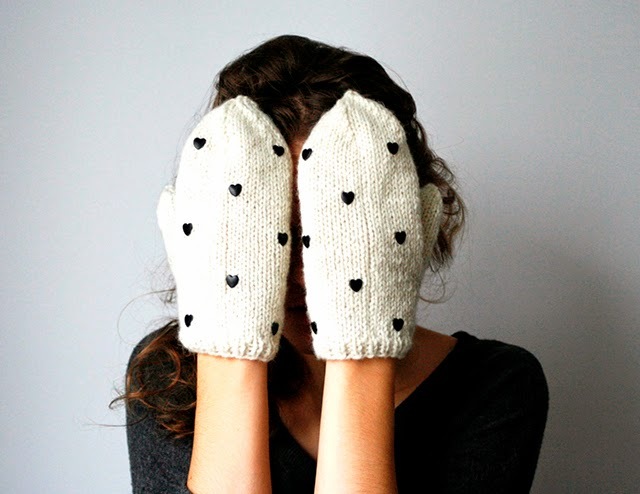 These mittens (above) by AIYshop look SO COZY! 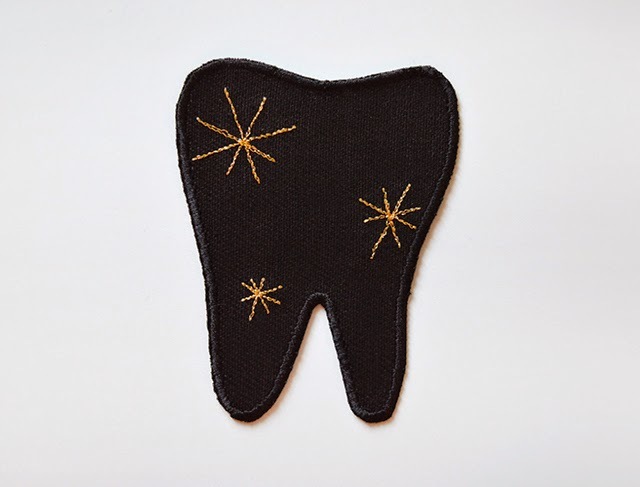 I'm totally in love with this darling patch by Double Yellow Line. 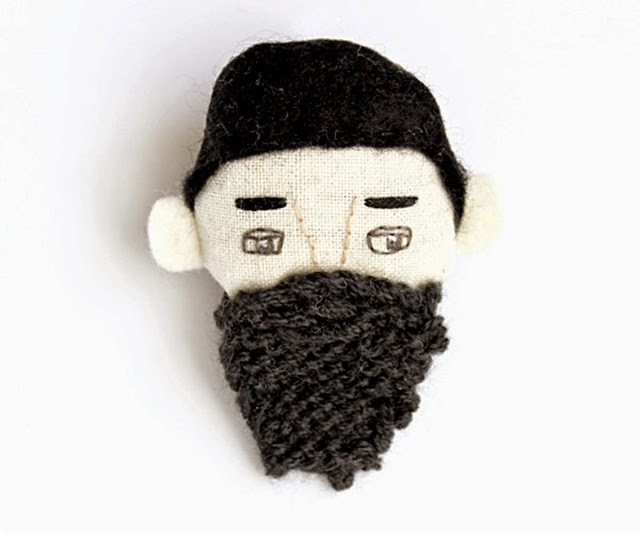 This beardy fella by Evie Barrow is so good! I have the perfect spot for these wonderful mushrooms by Herman Marie! 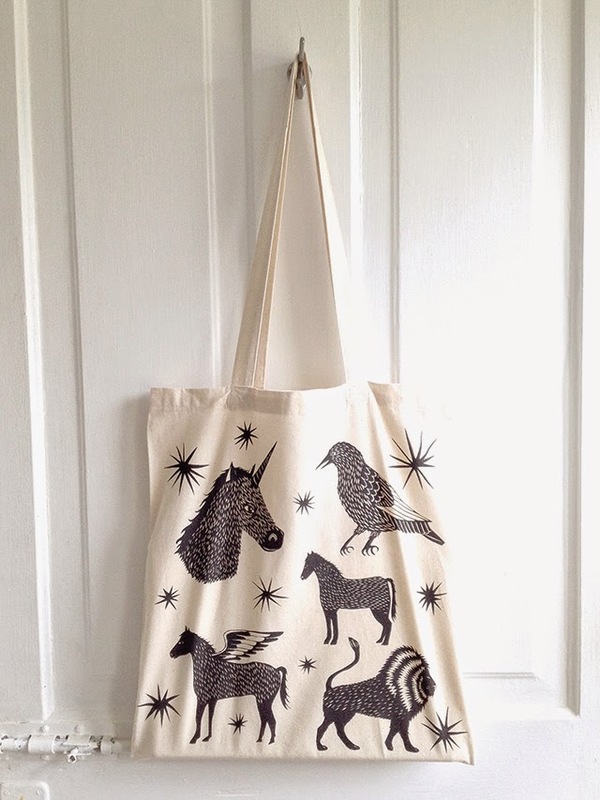 It took all of my willpower not to buy myself this tote by Triangle Trees. The hardest part about shopping such a great handmade marketplace is buying things for everyone and not MYSELF! Happy Friday, friends! xo. I just LOVE your Etsy picks! Hi-light of my week! I love that store...could browse away for hours/day/weeks!! Not shopping for ourselves can be soooo hard, especially with all of these good finds! 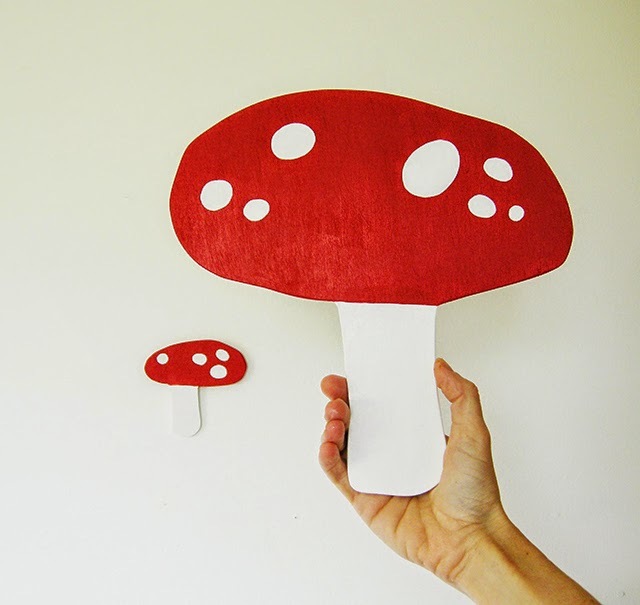 I just lurve the toadstools. I have been living Etsy ships this year. I'm getting completely spoiled by online shopping, and am beginning to resent the crowds, and all the time and energy it takes to find generic things. I love these, you have such a wonderfully eclectic taste. Etsy is definitely one of my favorite shopping sites. I have to say that you have the best taste! I always look forward to your Etsy Love posts because I always feel like there's so much to discover on there!